For over 40 years, Columbia Industries has designed and built axles and suspensions for customers working in a number of industries. 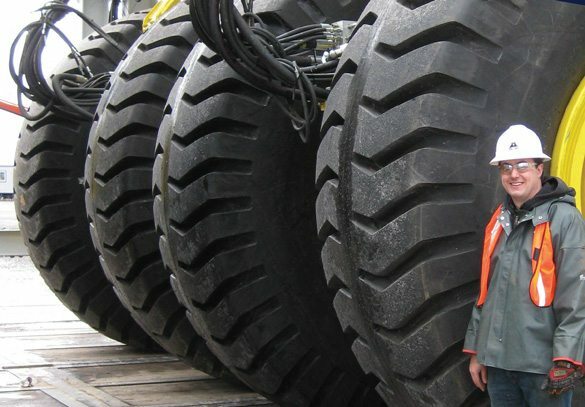 Our designs range from smaller, off-highway systems to complex, high-capacity systems built to move heavy loads with safety and precision. Every axle and suspension is custom designed and fabricated to meet the customer's exact specifications. Columbia’s systems are designed for heavy use and extended service life, even in the world's harshest conditions. We produce a variety of suspension systems that feature a full range of load capacities. Current axle capacities range from 40,000 to 775,000 pounds, and each is designed and built to meet the individual needs of our customers. We offer custom mechanical suspension systems (starting at 40 tons), and mechanical suspensions that include trunnion axle beams and walking beam suspension systems. 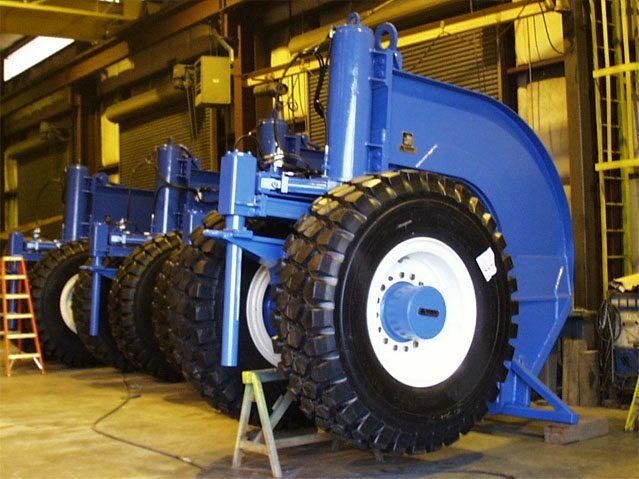 We also offer hydraulic suspension systems with capabilities ranging from 80,000 to 300,000 pounds. Our KB Axles are a comprehensive line of off-road axles and parts. In this range, the suspensions typically consist of a custom designed axle and hub assembly that can include a hydraulic lift cylinder type suspension. 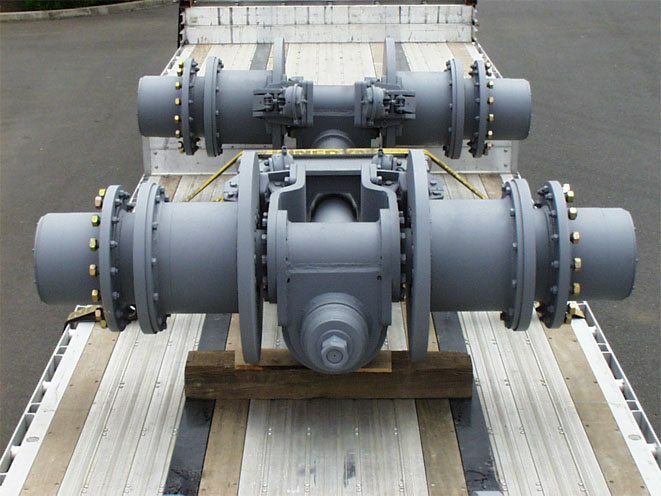 These axles can be hydraulically driven or dead. Columbia's wheel systems incorporate hydraulic cylinders to lift the module. Once the rig is moved into position, it is lowered onto its base. We have continuously improved and updated our lift cylinder designs throughout our decades of work in the industry. Moving a multi-million pound drilling module during the arctic winter requires a lot of experience and industry expertise. Whether the rig is moving between wellheads or pad-to-pad, steering is a critical component of any design. Columbia offers several steering options, from simple, manually-controlled systems to computer-controlled Temposonic steering, which works to coordinate the movement of multiple axles. Columbia also engineers systems with the ability to turn wheel systems 90 degrees so that a rig can be moved into position along a row of wells.